Learn how to identify and let go of the fears keeping you from confidently living your authentic life. Join this empowering 3-part video series for FREE! Sign up below. Awaken Your Authentic Self and become the MOST CONFIDENT person you know! I'm going to show you how to uncover who you really are and help you bust through the blocks, beliefs, and fears that hold you back from shining bright as your authentic self so you can reclaim your personal power and cultivate unshakable confidence to do your great work in the world! In first video, I'll ask you the most important question you will ever ask to discover your authentic self. I'll teach you that the labels you wear don't define who you REALLY are. You'll also learn the #1 thing to STOP doing in order to be your most authentic self. Overcome the 3 most common fears when it comes to being true to YOU. I'll teach you simple mindset shifts to bust through old beliefs, ditch self-doubt, and help you cultivate unshakable confidence. Without implementing this one simple step to reclaim your power, you'll never truly be in control of your life. I'll also share the #1 belief it takes to OWN your authenticity. Brittney Carmichael is the founder of Shine School®, an online course to help women cultivate radical self-love and SHINE from the inside, spiritual teacher, motivational speaker, psychic medium, hair guru with over a decade experience, and self-love & biz mentor. She is known for her spiritual truth-tellin’ style and her ability to make women beautiful – inside & out. 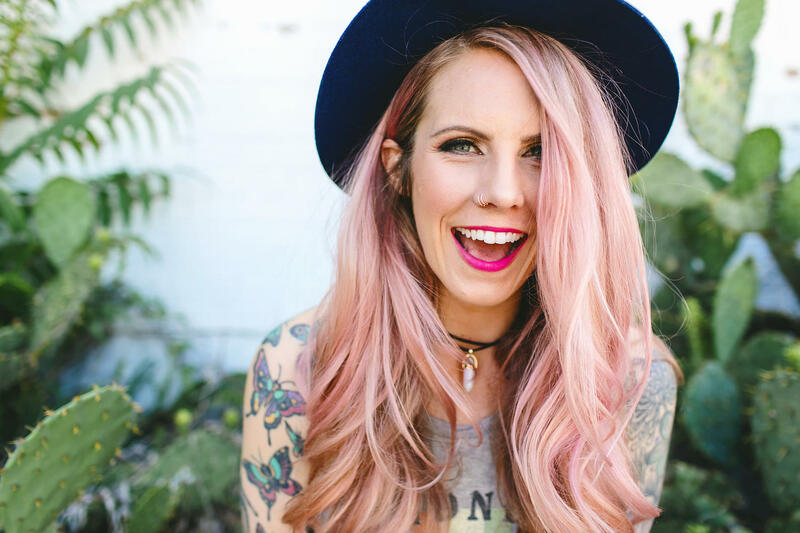 Brit teaches women how to SHINE from the inside by breaking free of negative beliefs, letting go of limiting labels, and tapping into creative power so that they can start living the life of their dreams. Don't let FEAR stop you from being your most AUTHENTIC self! You have nothing to lose except the labels and beliefs that could be holding you back from SHINING your light with the world. I'm ready to become my most confident, AUTHENTIC self now!